ProModel is a discrete-event simulation technology that is used to plan, design and improve new or existing manufacturing, logistics and other operational systems. It empowers you to accurately represent real-world processes, including their inherent variability and interdependencies, in order to conduct predictive analysis on potential changes. Optimize your system around your key performance indicators. Enhance the effectiveness of Analyze and Improve steps of the DMAIC Methodology. Experiment to ANALYZE how the system responds within the model and develop a total continuous IMPROVEMENT strategy in a dynamic, risk-free environment. 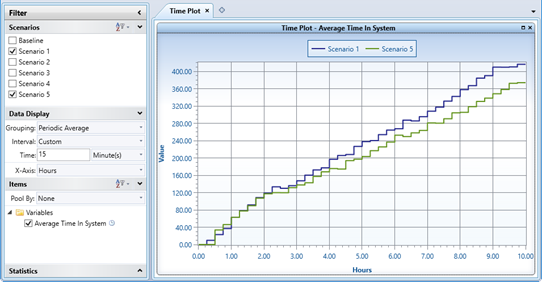 The ProModel Optimization Suite is a discrete-event simulation technology that helps you to make better decisions faster. It is used to plan, design and improve new or existing manufacturing, logistics and other tactical and operational systems. It empowers you to accurately replicate complex real-world processes with their inherent variability and interdependencies, to conduct predictive performance analysis on potential changes, and then to optimize the system based on your key performance indicators. Discover ProModel-specific training, tutorial, and how-to videos. Explore our training resources, online help, and view our pre-recorded webinars to help further your knowledge of ProModel. 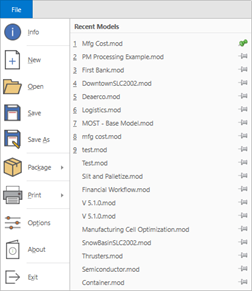 What's New in ProModel 2018? Tired of leaving a module only to return and have to reopen its sub-windows? In this new release, all windows persist! If you leave one module for another (e.g. to create a new global variable), when you return to that module, all its previously open windows will be reopened. Context menus are available in every table and accessible by right-clicking in any field within that table. For example, you will be able to quickly delete, insert or move a record with a simple right-click of the mouse. The right-click context menus in Background graphics are improved and provide new access to editing other modeling elements such as locations and variables. The list of recently opened models in the File application menu has been expanded from five to up to 19. Pin your favorite model files to the top of the list and hover over any model name to reveal the full path to the model. No more discussion or decision on whether to go to Front of Grid or Behind Grid mode when creating background graphics. You simply just go to Background Graphics for editing images. Create shapes, add text and import pictures through the new Insert ribbon. New and updated hotkeys for fast access to key modules and application features. Super Tooltips appear revealing hotkeys and help snippets when hovering over ribbon buttons, and selecting F1 opens online context help for the given button. 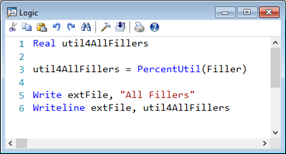 Variable labels can be quickly created using the hotkey Ctrl+T and then clicking on the Layout. SimRunner Input Factors have been expanded beyond the previous limit of 500. Simultaneously run an optimization in SimRunner and continue editing your model. Conveniently cycle through all open windows using Ctrl+Tab. 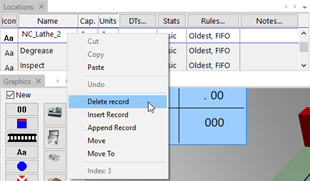 Name-Index Numbers are displayed in right-click context menus. Selecting Continuous Trace now opens a window and begins tracing (like Step Trace Events). When exporting your model to a text file, you are now prompted whether or not to open it right away. What's New in the 2016 SP1 release? What's New in the 2016 release? Enter you Serial Number and Email address and click Install. Nothing more to do as the software is installed and licensed without further action. 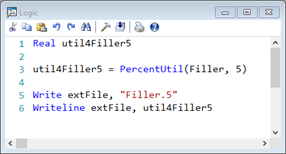 If you like to enter your model logic freely, in your own format and without prompts, you can turn off the Intellisense feature and write your logic however you like. 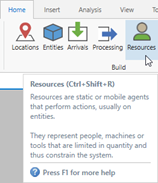 Resources that entities capture prior to grouping, and any that the grouped entity subsequently captures, can be pulled off shift and replenished through this shift carryover capability. The grouped entity will only resume processing once all resources have been replaced. Previously, only explicitly defined entity Arrivals automatically collected stats when failing to arrive (due to a lack of available capacity). Now, you can individually control which entity-location Order statement reports when it fails to arrive at its ordered location.